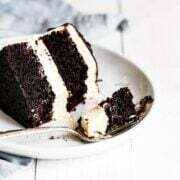 Guinness Chocolate Cake with Irish Buttercream features an easy, fudgy, and moist cocoa cake with Guinness beer and thick creamy and sweet Irish cream buttercream. The perfect St. Patrick’s Day cake! Download my FREE Best Buttercream Guide here! 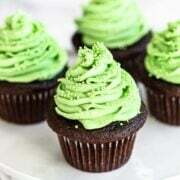 Mint Chocolate Cupcakes are ultra moist and easy to make with tons of refreshing chocolate peppermint goodness. Perfect for St. Patrick’s Day or Christmas! 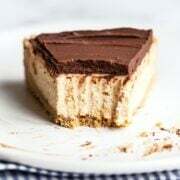 No Bake Chocolate Peanut Butter Cheesecake features a buttery graham cracker crust, creamy peanut butter cream cheese filling, and is topped with thick and fudgy chocolate ganache! 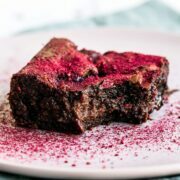 Announcing the official recipe for the March Baking Challenge! All of the details and rules for how to participate in the challenge for a chance to win the PRIZES are detailed below. 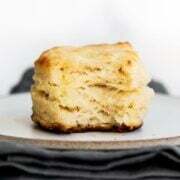 How to Make PERECT Buttermilk Biscuits that are tall, flaky, and tender. Just 30 minutes to homemade biscuits your family & friends will love! Download my free biscuit guide here. 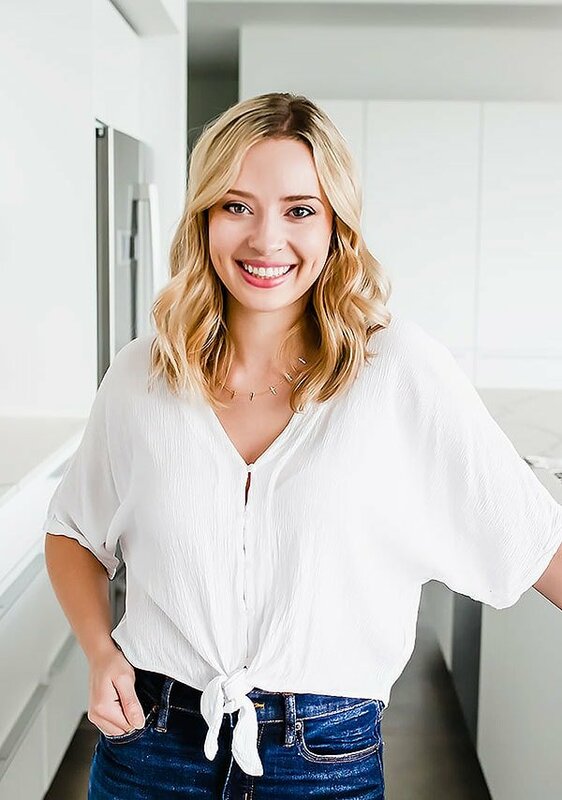 The ONLY pancake recipe you'll ever need! 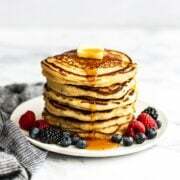 These buttermilk pancakes are fluffy in the center, crispy and buttery at the edges, and so easy to make. 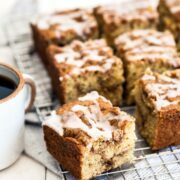 The whole family will love them! 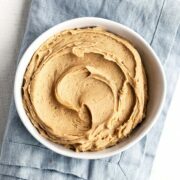 Peanut Butter Buttercream Frosting is ultra rich, thick, smooth, and creamy with tons of sweet nutty flavor that goes perfect on so many cakes or cupcakes! 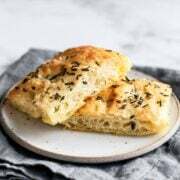 This homemade recipe for EASY No Knead Focaccia Bread is surprisingly simple but makes rich, flavorful, and soft bread with ultra crispy edges that you're going to love!